A long list of political disasters has left the government mired in serious trouble, and they can all be traced back to one decision - the knifing of Malcolm Turnbull. But since he was removed on August 24, that malaise has been replaced by something even worse - a sense of near-constant chaos, as each crisis has cascaded into the next. Mr Turnbull's exit was not smooth. 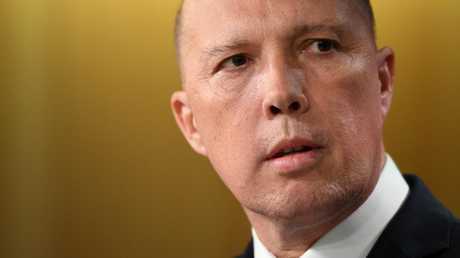 Instead Peter Dutton drew 35 votes, a figure high enough for many to conclude the prime minsiter's leadership was terminal. The fiasco ended with Mr Dutton, the man responsible for getting rid of Mr Turnbull, failing to secure the leadership for himself, and the party's most popular alternative prime minister, Julie Bishop, getting knocked out in the first round of voting. Mr Turnbull had shut down parliament amid the chaos, reportedly at Mr Dutton's request, reinforcing the public's impression of a chaotic government obsessed with its own internal feuds. Accusations of "bullying and intimidation" by some MPs during the week of leadership drama led to a broader debate about the treatment of women in the Liberal Party. "I say to my party, it is not acceptable for us to have less than 25 per cent of our parliamentarians as female," she said in early September. "It is not acceptable for our party to contribute to a fall in Australia's ratings from 15th in the world in terms of female parliamentary representatives in 1999, to 50th today." The former foreign minister said she had witnessed "appalling behaviour" from her colleagues in parliament. She was backed up by other Liberal women, including Kelly O'Dwyer, Julia Banks and Lucy Gichuhi. Ms Banks cited the Liberals' failure on this front as one of the reasons for her defection to the crossbench this week. The by-election for Mr Turnbull's old seat Wentworth loomed on October 20. 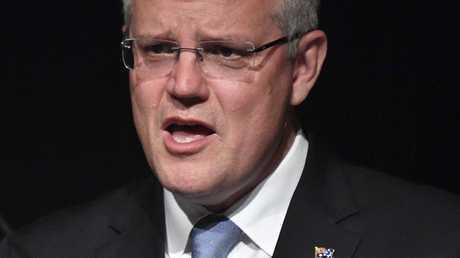 The week beforehand, Scott Morrison made the surprise announcement that he would consider moving Australia's embassy in Israel from Tel Aviv to Jerusalem. "We are committed a two-state solution, but frankly, it hasn't been going that well. Not a lot of progress has been made. 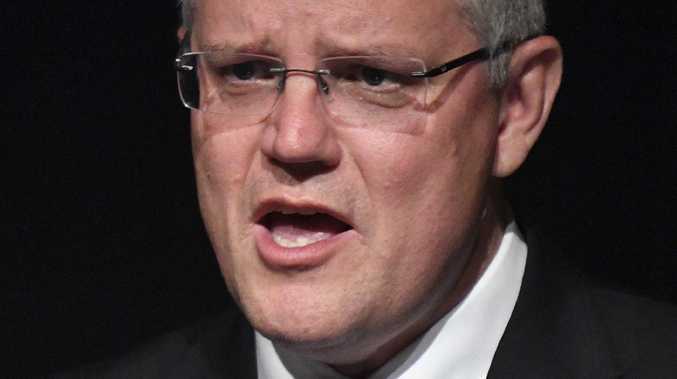 And you don't keep doing the same thing and expect different solutions," Mr Morrison said. The timing was interesting to say the least, given the by-election was just days away - and it just so happens a large proportion of voters in the seat are Jewish. And it caused something of an international incident. Australia was in the process of finalising a trade deal with the world's largest Muslim nation, Indonesia, a strong supporter of the Palestinians. The trade deal was delayed, with Indonesia's trade minister indicating it would not be signed until the embassy issue had been resolved. 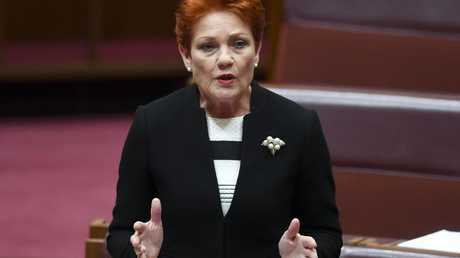 The very same week, the government was forced to ludicrously claim it had voted in favour of a Senate motion by One Nation leader Pauline Hanson, saying "It's OK to be white", by mistake. It said an "administrative process failure" had let it to vote the wrong way on the controversial motion. 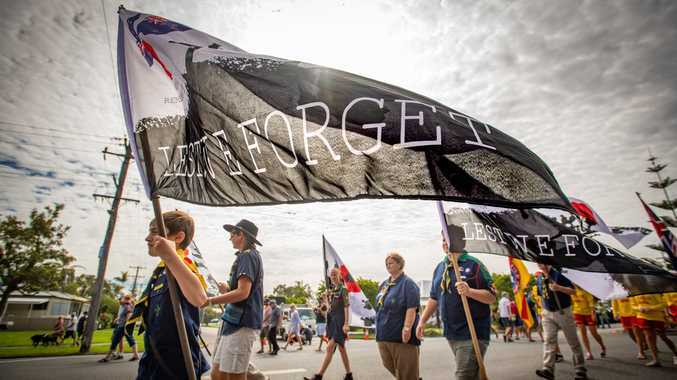 But the reversal came too late to stem an avalanche of criticism, with the Coalition's political opponents accusing it of endorsing "the words used by white supremacists and neo-Nazis". Explaining the government's mistake, Attorney-General Christian Porter blamed his own office, saying his staff interpreted Ms Hanson's motion as "opposing racism" and "the associations of the language were not picked up". They can't have looked too hard. The phrase "It's OK to be white" is rather infamous. It was first dreamt up on 4chan's "politically incorrect" image board, which is a sort of gathering place for anonymous trolls. The slogan has since become a favourite of the so-called alt-right. Dr Phelps won by representing what she described as the "sensible centre", calling for action on climate change and asylum seekers. 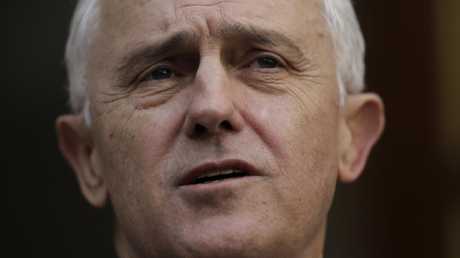 The Prime Minister acknowledged the result was influenced by his party's decision to knife Mr Turnbull. "Yesterday Liberal voters expressed their anger at the parliamentary Liberal Party. There is no doubt about that. And we copped that fairly on the chin," he said. "The event of two months ago angered and outraged many Liberals and particularly those in the seat of Wentworth. That's on us, the parliamentary Liberal Party." Others in the party blamed Mr Turnbull for failing to intervene sufficiently on Mr Sharma's behalf. Any hope that Wentworth was an isolated case was crushed last weekend as the Liberals suffered a "bloodbath" in the Victorian election. The Liberal Party's Victorian President Michael Kroger tried to downplay the federal implications. "People need to grow up. Was there a federal factor? Yes there was. Was it the biggest factor? No it was not the biggest factor by any measure whatsoever," he said. "Grow up. This is just a nonsense." It was at that meeting that Ms O'Dwyer reportedly said her party was seen as "homophobic" and "anti-women". Meanwhile, her fellow MP Tim Wilson went on TV and lashed out at the Liberals' right wing. "You can go on saying this has got no federal implications, but sorry, not true," Mr Wilson said. "You saw a heartland and a voter base who turned around and said to us, 'We've had enough'." Some Liberals accuse him of playing an "invisible hand" against the government, and say he wants to bring it down. They point to his intervention in the Dutton eligibility saga, or his inaction ahead of the Wentworth by-election, as proof. "There is no question, were that move to occur, it would be met with a very negative reaction in Indonesia. This is, after all, the largest Muslim-majority country in the world," he said. And he aired his grievances with the party very publicly on the ABC's Q&A program earlier this month, naming and shaming the MPs behind his downfall. Then, this week, the most recent body blow landed. Julia Banks, one of the Liberals' most prominent female parliamentarians, quit the party and further reduced its numbers in the House. She slammed the government on many of the points mentioned above, from its "regressive right wing" to its treatment of women and its disloyalty towards Mr Turnbull. "Led by members of the reactionary right wing, the coup was aided by many MPs trading their vote for a leadership change in exchange for their individual promotion, preselection endorsements or silence," she said. "Their actions were undeniably for themselves. For their position in the party. Their power. Their personal ambition. Not for the Australian people who we represent." Ms Banks described herself as a "sensible centrist", echoing the words of Dr Phelps. "My sensible centrist values, belief in economic responsibility and focus on always putting the people first and acting in the nation's interest have not changed. The Liberal Party has changed," she said. "Largely due to the actions of the reactionary and regressive right wing who talk to themselves rather than listening to the people."